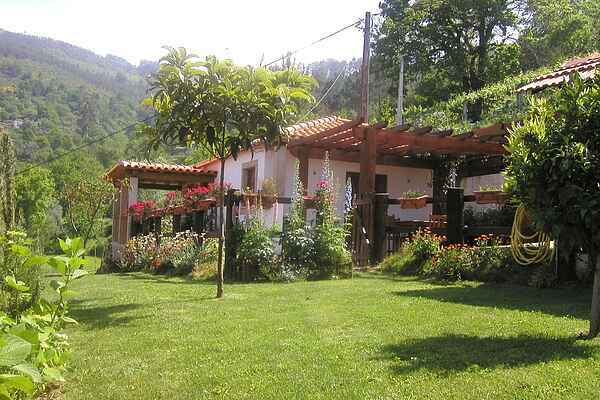 Comfortable holiday home located in Lugar Sao Pedro in the North of Portugal. Although the holiday home is quite modest, it is completely furnished and well equipped for 2 persons. The holiday home is only 10 min from the lovely Ponte de Lima, also known as the oldest city in Portugal. The city of Porto is 83km away and is shurely worth a visit! The quiet sandy beaches of Afife (30 mins drive) are a true paradise for surfers and bodyboarders because of the high waves. Also within a 30 min drive you'll find the nature reserve Serra do Gerez where you're able to take nice walks and enjoy the amazing views.